As a follow-up to this earlier post on the USB-501TC thermocouple datalogger, I’ve now successfully gotten the USB-500 software running under Windows 7, in a slightly roundabout way. 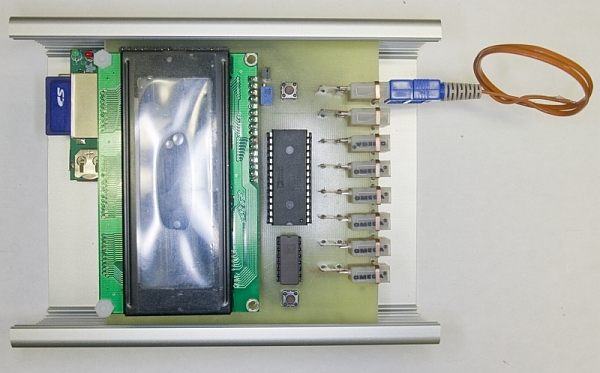 In 2008, Measurement Computing released a self-contained datalogger that will record temperatures from a thermocouple continuously. 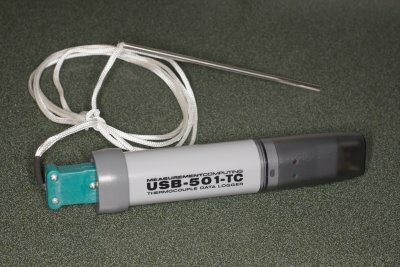 The USB-501TC will read 32,510 temperature samples, each time-stamped. It will read K, J, and T-type thermocouples, and ships with the K-type thermocouple shown in the picture. The temperature readings can be taken at a number of intervals ranging from 1 second out to 12 hours.